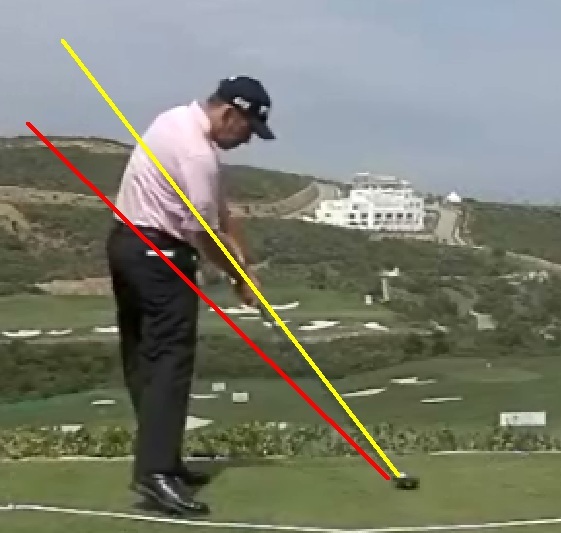 A big tennant of the one plane golf swing is to return the golf club back to the same position it was at (in terms of the shaft plane line) at address. 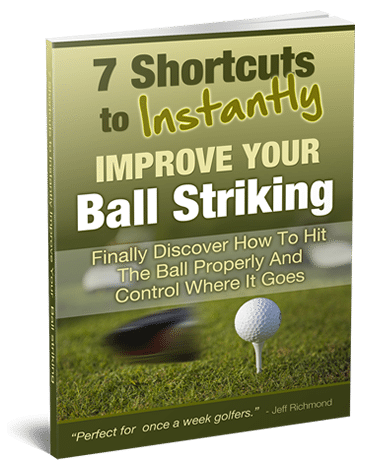 That’s what Moe Norman and Ben Hogan did. 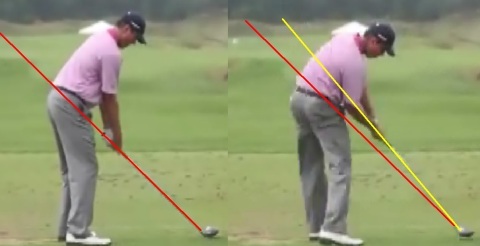 But let’s see how the top golfers in the world today fear as far that is concerned. 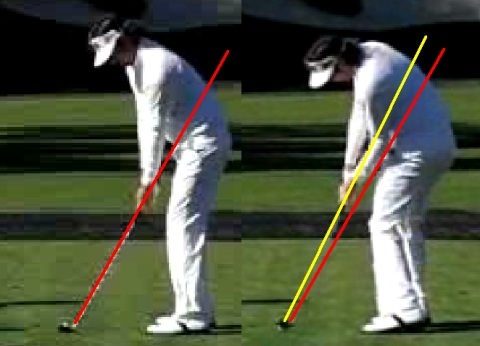 Pictures of the top ten golfers as at August 2012 are below with their setup positions, compared to their impact positions. 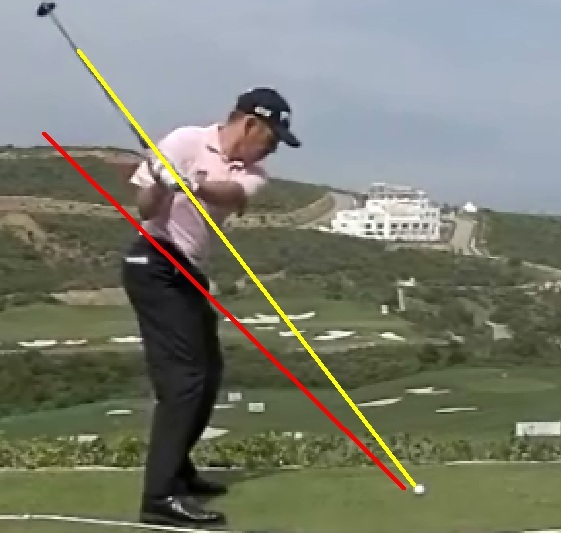 So 10 of the top 10 golfers in the world DO NOT return the clubface to the same plane line that they started at at address. 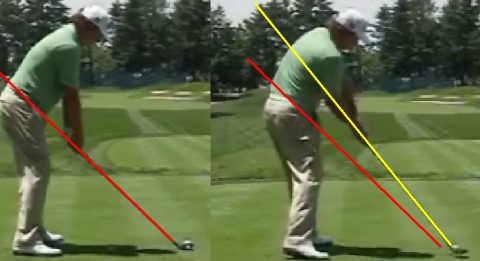 BecauseI believe the plane line should be more vertical than a one plane swing, and not as vertical as a two plane swing. 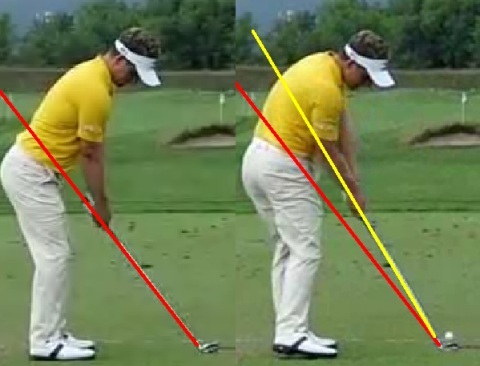 Somewhere in the middle. 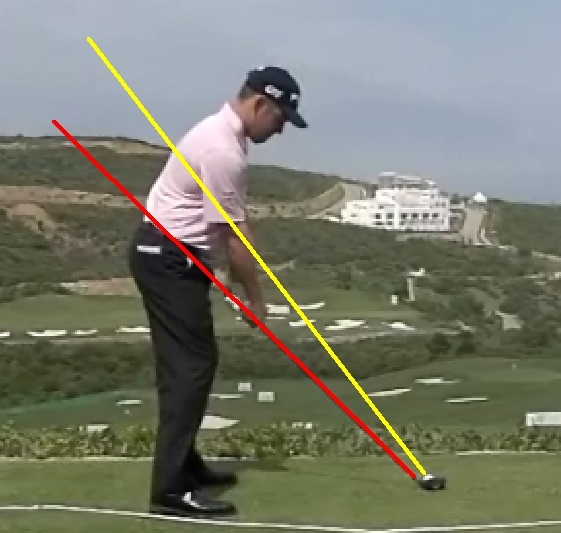 A great model I’m going to show you in a minute for this, is Louis Oosthuizen. 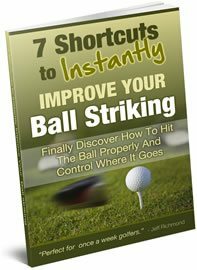 So my Consistent Golf Swing Plane theory, is to swing back so that at the half-way point in the golf swing the club shaft points down at the ball. 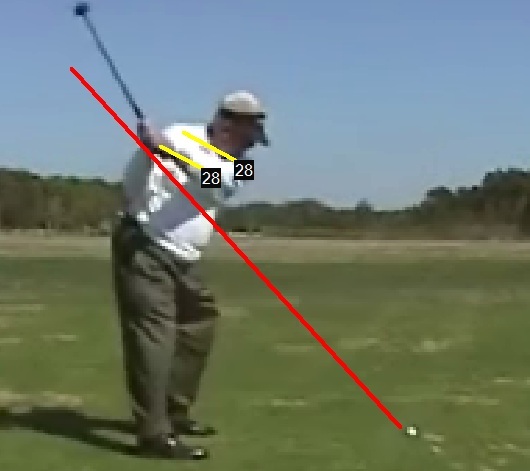 Then at the half-way point in the downswing, the clubshaft again points at the ball. 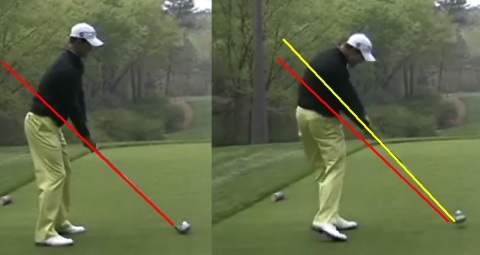 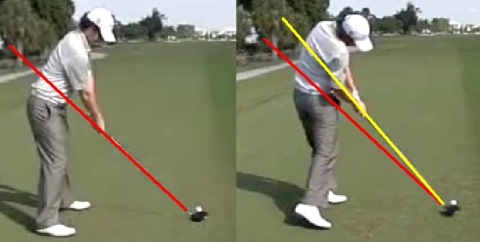 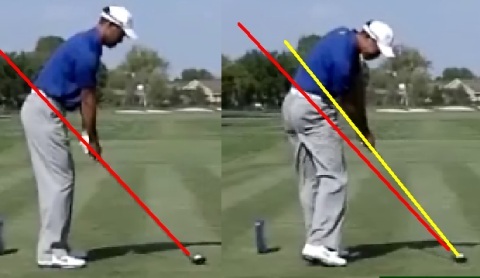 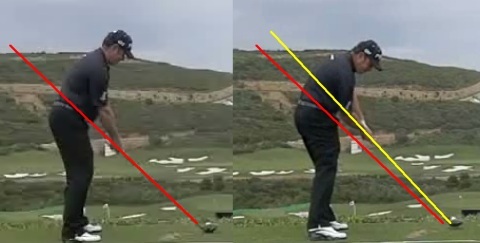 I’m now going to show you this theory in action in one of the best swings on the planet. 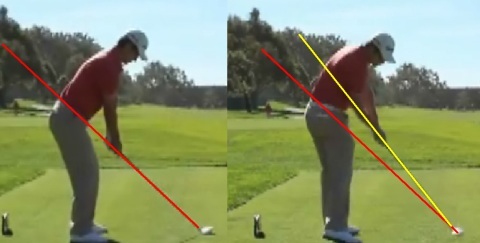 Anyway, I hope this series I’ve given you on the swing plane has clarified a lot of issues you had with understanding the swing plane. 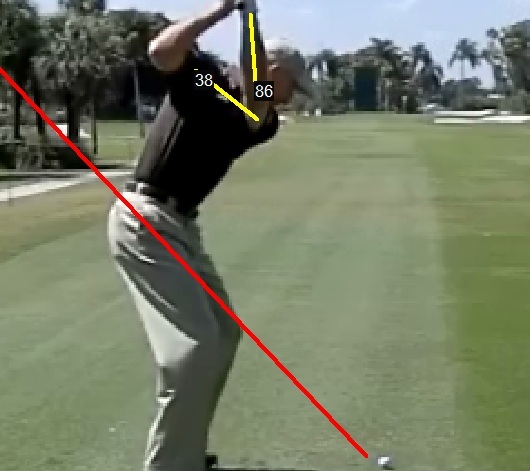 And I hope that now you have a very clear idea on what swing plane you should be swinging back, down and through on.